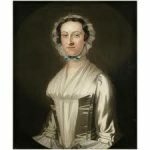 Janet Livingston was born on August 27, 1743, into the famous Livingston family of New York, and was a sister of Chancellor Robert R. Livingston, a prominent New Yorker who was later on the committee that drafted the Declaration of Independence. She spent her girlhood at Clermont, the family home on the banks of the Hudson River. In late 1772 or early 1773, Richard Montgomery, an Irish-born British army officer, moved from England to America. By the time he arrived, the difficulties between England and the Colonies were brewing; Montgomery quickly adopted the colonists’ cause. He bought a farm at King’s Bridge, 13 miles north of New York City. While adjusting to his surroundings, he met Janet Livingston, whom he had briefly met during his previous service in America. After receiving her father’s blessing, Janet married Richard Montgomery on July 24, 1773. After their wedding, Montgomery leased his farm to a tenant and moved to a small house in Rhinebeck, New York, for a little more than two years. He bought some surrounding land and set to work fencing, plowing fields, building a grain mill, and laying the foundation for a larger home. 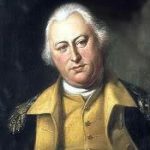 Richard then accepted a commission as General in the Continental Army, one of the first generals commissioned in the Army. He served under Philip Schuyler, the commander of the Northern Department of the Continental Army in a 1775 expedition against British-held Quebec. 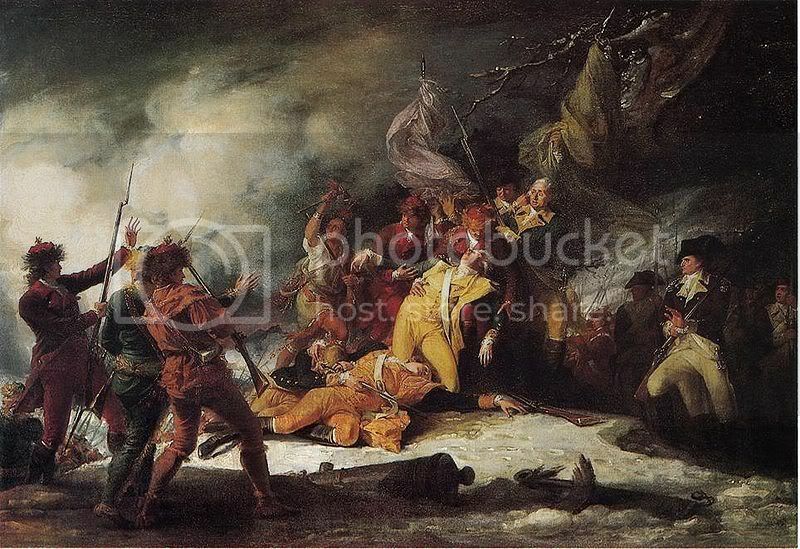 When General Schuyler became ill, Montgomery took command of the expedition and was killed on December 31, 1775, while leading a winter assault against the well-defended fortress during the Battle of Quebec – becoming the first hero of the American Revolution. Janet always referred to him as my general or my soldier, and fiercely guarded his reputation. After his death, she moved to the house near Rhinebeck that Richard had begun work on before the war. Janet remained interested in politics for the rest of the war, and was always a harsh critic of Loyalists. While you are deriving comfort from the highest source, it may still further brighten the clouded moment to reflect that the number of your friends is not confined to the narrow limits of a province, but by the happy union of the American Colonies, (suffering equally by the rigor of oppression,) the affections of the inhabitants are cemented; and the urn of the companion of your heart will be sprinkled with the tears of thousands who revere the commander at the gates of Quebec, though not personally acquainted with General Montgomery. My dear Madam, the sympathy that is expressed in every feature of your letter, claims from me the warmest acknowledgments; and the professions of friendship from one who so generously feels and melts at the woes of a stranger, not only soothe but flatter me. It is very kind of you, madam, to seek for alleviating consolations in a calamity (though of so much glory). I thank God I feel part of their force, and it is owing to such affectionate friends as you, that have lightened the load of misery. Nobly has he kept his word; but how are my sorrows heightened! Methinks I am like the poor widow in the Gospel, who having given her mite, sits down quite destitute. Yet would I endeavor to look forward to the goal with hope; and though the path is no longer strewed with flowers, trust to the sustaining hand of friendship to lead me safely through, and in assisting me to rise superior to my misfortunes, make me content to drag out the remainder of life, till the Being who has deprived me of husband and father, will kindly close the melancholy scene, and once more unite me to them in a world of peace, where the tyrant shall no more wantonly shed the blood of his innocent subjects, and where vice and virtue will receive their reward. I have been interrupted. Another alarm of the enemy’s being in full march for Saratoga, and the poor harassed militia are again called upon. My impatient spirit pants for peace. When shall the unfortunate individual have the gloomy satisfaction of weeping alone for his own particular losses! In this luckless state, woes follow woes – every moment is big with something fatal. We hold our lives and fortunes on the most precarious tenure. Had [Benedict] Arnold’s plan taken place, we could not have escaped from a fate dreadful in thought; for these polished Britons have proved themselves fertile in inventions to procrastinate [protract] misery. When going with her nephew to visit her husband’s family in Dublin, Janet’s patriotic feeling was still fervent: When I return, I hope to find my dear country, for which I have bled, the envy of her enemies and the glory of her patriots. After the war, former Continental Army General Horatio Gates proposed marriage, but Janet declined. 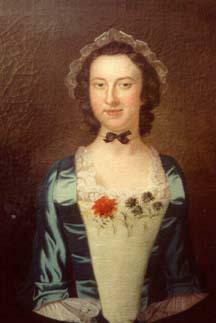 Janet Livingston Montgomery became a revered widow and prosperous landowner. In 1802, fifty-nine year old Janet Montgomery surprised her family by acquiring a 434-acre working farm. At the end of a half mile-long lane bordered by deciduous trees, Janet built a new Federal-style house of fieldstone, which she named Château de Montgomery, or Montgomery Place. She built it to honor General Montgomery’s memory and to provide a fitting legacy for his heirs. The property is an amazing example of Hudson Valley estate life. Each of the estate’s features has a story to tell about changing American attitudes toward nature, landscape and home design. Adjacent to the mansion she developed a prosperous commercial enterprise of orchards, gardens, nursery and greenhouse, and capably managed her land interests. After forty-two years, General Montgomery’s remains were removed at the request of the state legislature to New York City and interred in St. Paul’s Chapel churchyard. The journey from Quebec to New York was attended by civic honors, notably at Albany, July 4, 1818. Janet stood on her porch and watched the steamer Richmond bring her husband’s remains down the Hudson River. When his remains arrived in New York City, 5000 people attended the procession. Janet was pleased with the ceremony and wrote, “What more could I wish than the high honor that has been conferred on the ashes of my poor soldier.” The city of New York erected a monument under the portico of St. Paul’s Chapel on the Broadway front. A tablet was also erected on the spot where he fell at Quebec by the Sons of the American Revolution in 1901. 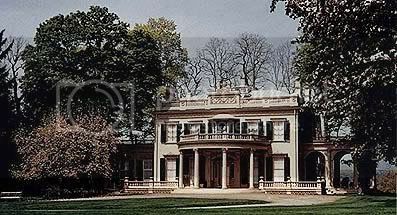 Janet Livingston Montgomery lived a full and rich life and died in November 1827 at the age of 85 at Montgomery Place. General Montgomery’s heirs had predeceased her, and so Janet left the estate to her youngest brother, Edward Livingston. His fascinating lifetime of public service included terms as Mayor of New York City, United States Representative and United States Senator from Louisiana, Secretary of State and Minister to France during the Andrew Jackson administration. Edward’s cosmopolitan and well-traveled widow Louise Livingston and their daughter Coralie Livingston Barton (1806-1873) used it as a summer home. They transformed the property into a self-sufficient estate, adding a conservatory, intricate flower gardens and architectural features. 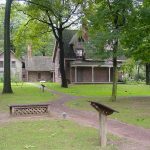 The estate has recently been named a National Historic Landmark by the Department of the Interior.